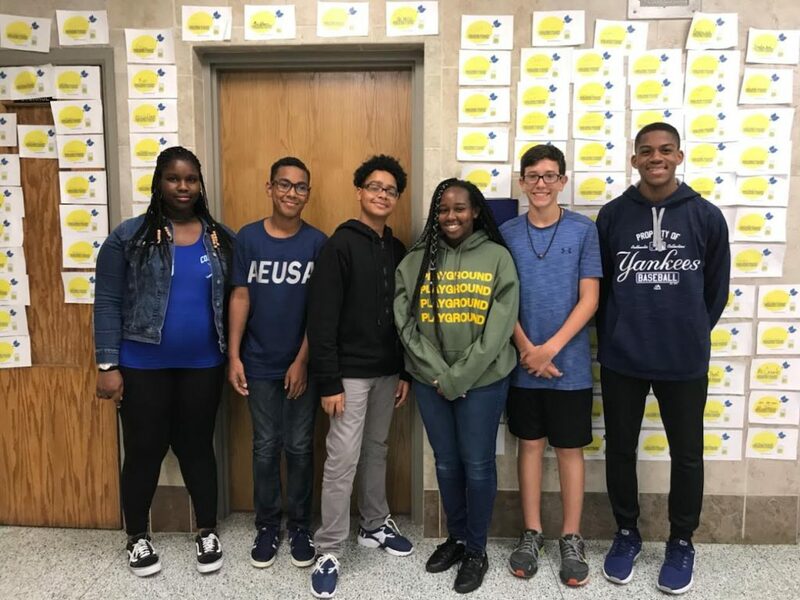 The student council at Copiague Middle School sold pens, keychains and bracelets for Alex’s Lemonade Stand to benefit childhood cancer. The organization raised $300 for the charity. Shown here are members of the student council’s executive board.